The University of New South Wales is inviting applications for Postgraduate Research Scholarships. Scholarships are open to both international and Australia applicants. All applicants, whether domestic or international, for admission to any UNSW program delivered either in Australia or overseas, must provide evidence that their English language ability meets the minimum requirements for admission. Scholarship Award: The scholarships provide a range of benefits such as annual stipends, living allowances and coverage of tuition fee costs, as well as funding and supplements for travel. 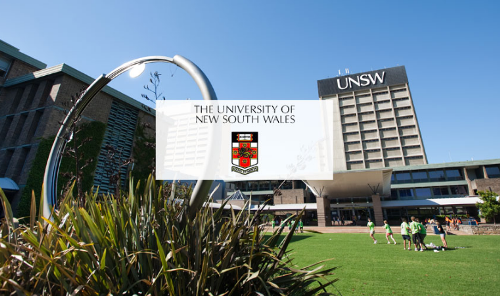 Eligibility: If you are applying for a UNSW Scholarship, Scholarships are only available to applicants who hold a four year bachelor’s degree with Honours Class 1 from an Australian institution, or an equivalent research qualification/experience. This qualification must be in a field relevant to your area of research. Further clarification on the equivalent experience can be found here in the UNSW Scholarship Guidelines (please see Related Documents). Nationality: Scholarships are open to both international and domestic applicants. 1. Entrance Requirement: All applicants, whether domestic or international, for admission to any UNSW program delivered either in Australia or overseas, must provide evidence that their English language ability meets the minimum requirements for admission. 3. English Language Requirement: All applicants, whether domestic or international, for admission to any UNSW program, delivered either in Australia or overseas, must provide evidence that their English language ability meets the minimum requirements for admission. How to Apply: Students can apply for the UNSW Scholarships during their admission application. All applicants must apply online. Now that all the information about Fully-Funded Australia Scholarship for International Students at UNSW has been delivered nicely; interested and talented students who are eager to pursue their Free Tuition/Scholarships/Study in Australia can apply now.